At a mere 15 x 6 x 3cm (W x H x D) and weighing 180g, the Edifier MP211 is properly portable. 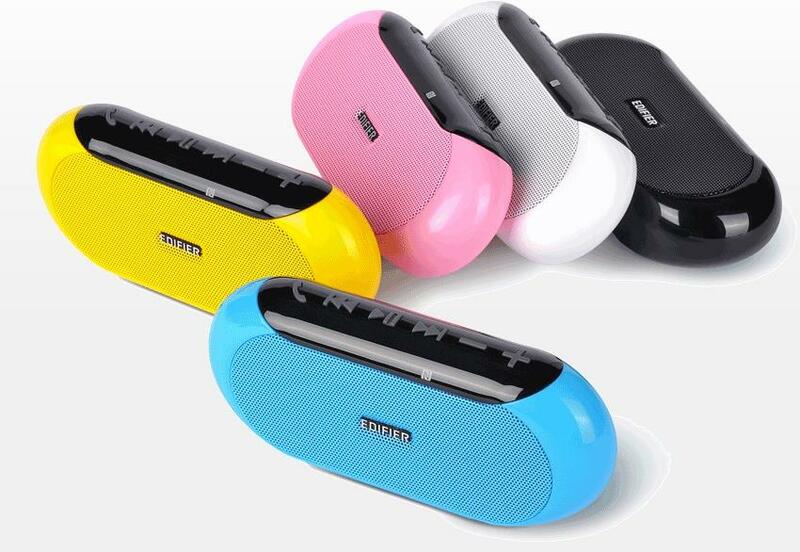 Whether anyone needs additional speakers when travelling is a good question, especially with smartphone speakers getting so good, but there’s no doubt that the sound from this tiny gadget’s speakers is far superior. Available in blue, red, white, black and yellow, the Edifier MP211 has two small rubber feet on its undercarriage to keep it from slipping on shiny surfaces. If that’s a nice attention to detail, so is the provision of a microSD card slot in the speaker’s side. There’s also an aux-in for wiring-up a device, and a microUSB slot for recharging its built-in battery. As well as Bluetooth 4.0 for streaming from phones, tablets and laptops, the Edifier MP211 has NFC (Near Field Communication) for establishing that link. That means Android phone users can tap the Edifier MP211 to connect, though iPhone users can simply search for the Edifier MP211 in Settings/Bluetooth; the link is rapid. Once attached, the Edifier MP211 can host tunes and route calls through its speakers, and the quality is good, with decent mid-range and little distortion, though volumes are pretty low. This isn’t going to work as the engine for a beach BBQ or a pool party. But it will excel at picnics and in hotel rooms. Aside from its portability, perhaps the winning aspect of the Edifier MP211 is its easy to use nature. The buttons across the top are large and easy to understand, while the provision of both NFC connectivity and that micro SD card slot are as unusual as they are handy. Considering the price, the slightly underpowered speakers are hard to complain about on this great value product.